No, dandruff isn't caused by dry scalp. 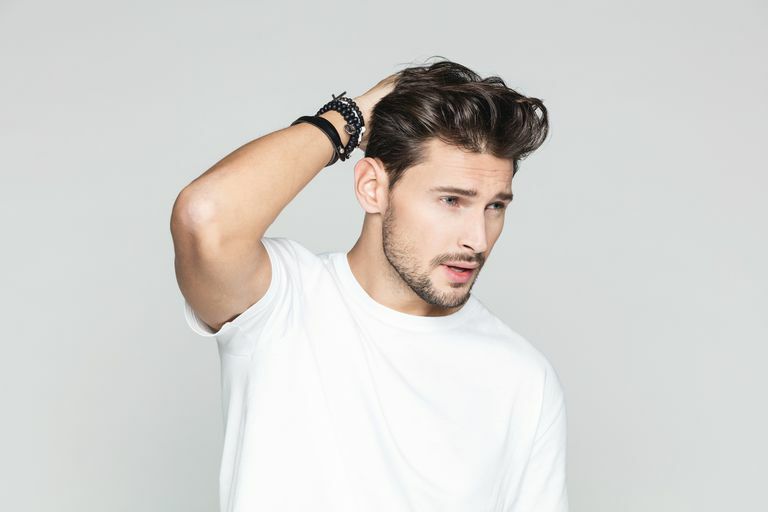 Almost every day in the salon, stylists are faced with the task of trying to overcome many of the common myths about men's hair. Guys think they can train their hair to go back when it grows forward, or they won't let the stylist trim their eyebrows because they think it will make them grow back faster. We're here to set the record straight on the top 12 common men's hair myths and facts. Fact: Your hair's growth patterns are determined by the hair follicle. No amount of blow drying, combing, or styling can train your hair to grow differently. Certainly, you can use a dryer and styling products to temporarily change your growth pattern, but permanent change is not possible. If your hair has a natural cowlick or part, there's not much you can do about it. Fact: Hair is basically protein and keratin and has no blood supply or nervous system. Your body does not know that your beard is shaved (or two inches long for that matter) because it has no way of communicating this information to your body. People often believe that shaving causes the beard to grow faster or thicker, but facial hair typically grows thicker and faster as you age, so it's only a coincidence. Same with eyebrows. Fact: Just like with your beard, getting your hair cut more often will not make it grow faster. The rate of growth is basically determined by your genes. Eating a diet that's rich in protein and not smoking might make your hair grow slightly faster, and if you can walk away from some stress in your life, that might help, too. But these effects are minor. Mostly, you can't change what you were born with. Fact: In the United States, there is an obsession with cleanliness, and many people follow the rule that they should shampoo their hair every day as part of their shower. But no. Your hair makes sebum, or oil, and this happens at different rates for everyone. So one person's hair might feel oily in a day and another's in three days or even longer. You should shampoo your hair when it starts to feel oily and begins to look flat and, well, unattractive. Fact: Hair has color because cells in our hair follicles called melanocytes create pigment (color) in the hair. When these cells stop producing the pigment, the hair loses its color. Plucking out one gray hair will not affect the melanocytes in the other hair follicles, so other hairs will not turn gray as a result. Gray hair can occur as a result of age or a medical condition. Your gray hair is actually transparent, but it appears gray as a result of the dead cells that make up the strand. Also, smokers are four times more likely to have gray hair and premature hair loss, which is another good reason to quit. Fact: If you've read the answer to the above myth, you should already be able to figure out the answer to this one. Only chemically bleaching the hair can make an entire strand lose its color overnight, and not even that can do it completely. Fact: Like the rate at which your hair grows, when you go gray is mostly the result of your genes. For instance, if your parents weren't gray until their late 50s, chances are, you won't be either. And of course, the reverse is true. If they turned gray early, that's likely your fate. Stress has not been found to affect when you get gray hair. Fact: Actually, in almost every circumstance, growing hair longer makes the thinning and baldness appear much more noticeable. When the sides and back are worn fuller, it makes the top appear thinner. The rule of thumb: If you can see scalp on the top, cut the sides short enough so you can see an equal amount of scalp. This will give an overall uniform appearance and take the emphasis off of the thinning areas. Fact: Any shampoo that claims to make hair grow faster is making a false claim. Hair will grow at a fairly consistent rate, about half an inch per month, no matter what you do. 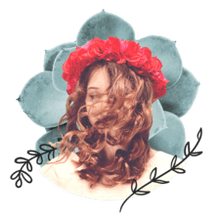 There are certain shampoos that will make the hair appear thicker by swelling the follicle and shampoos that will deeply condition the hair and help prevent breakage, but none that can actually increase the growth rate. Some say that doing things like taking vitamins and massaging the scalp can help your hair grow faster, but there's no scientific proof to support such claims. Fact: A complete myth. Hair loss can be inherited from either side of the family, and it may (or may not) skip many generations. It is entirely genetic, and you probably inherit this tendency from both your mom and your dad. Fact: For that to happen, the hat would have to be so tight that it cuts off circulation to the follicles. If that were the case, the hat would likely be much too tight for you to wear comfortably, so it's not likely. Wearing a tight hat can, however, cause hair breakage and damage. Fact: Dandruff is actually thought to be caused by a fungus called Malassezia, which can sometimes grow out of control and begin feeding on the oil on your scalp. This can cause an increased number of dead cells which, when combined with dirt and oil from your scalp, form flaky white scales. Dry scalp has nothing to do with it.